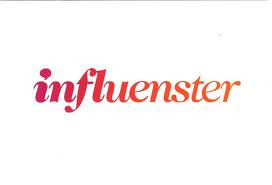 I just joined Influenster since may 2012. I find this site from a friend. I’m waiting for my very first one Kitchen products voxbox. I am so excited and Basically you just need to unlock badges on the website and write reviews for your favorite products. Share you favorite pages and help other answered question. when you qualify for a new product, they will give you a survey to fill out and then maybe a Voxbox, for free. Yes everything there is free what more you can asking for. The have now a new look in the site and is much easier to qualifycate for a voxbox o for a try new products. But the most fun and important about this site is The real benefit of membership is access to exclusive content, product reviews, and discussion within a community of tastemakers. i do recommended this site. I hope you enter a enjoy this awesome site. Basically, Influenster is a place for culture junkies to come together and share their unique opinions of products and experiences. Active members of Influenster get exclusive access to deals, promotions, and swag from brands that thrive off the input (the good, the bad, and the ugly — they just want to know what’s up). Click here to read all about it! If anyone of you are interested in joining, please send me your email and I can send you an invite. Or you can just join from the website. Whatever is easiest. Thank you for read this.